In June 1937, Mossman celebrated the opening of it’s new shire hall with an Opening Ball. 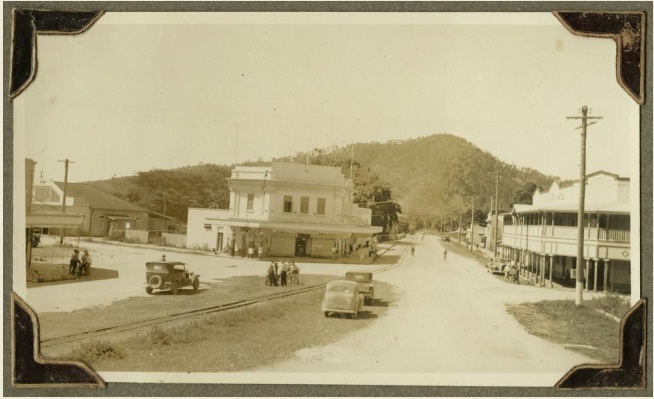 Seventy five years later, Cairns Regional Council will celebrate the anniversary of this Queensland Heritage Register-listed building (and its refurbishment this year) with an old time dance and a small exhibition on 22 June 2012 . Built as part of the Queensland Government Unemployment Relief Scheme during the 1930s, Mossmand Shire Hall was designed by notable north Queensland architectural firm, Hill and Taylor. Their work can be seen in a number of buildings in Mossman, and in many towns across the region. In preparation for the exhibition, Council staff in Mossman have been busy talking to locals and gathering photographs, newspaper articles, dresses, awards and other Hall-related memorabilia. The material will be used to showcase the buildings history and community use. Exhibitions that draw on community artefacts, anecdotes and images are a great way of exploring the significance of heritage buildings. Posted on 28 May 2012, in Uncategorized and tagged community, exhibitions, heritage, Jo, Mossman. Bookmark the permalink. Leave a comment.